Job descriptions are the atomic unit of recruiting: they power applicant tracking systems, fill job boards, and (should) convince candidates that a company and role is right for them. However, it’s fascinating that something so integral to recruiting, so integral to HR and, by extension, so integral to a successful company, hasn’t evolved much in 100 years. Job descriptions are still huge chunks of text that are difficult for candidates to read. One study finds that candidates spend under a minute scanning a job description before dismissing it as a poor match. Even more surprising, job descriptions haven’t evolved despite the fact that the way humans consume information has changed significantly. The way we consume content has changed dramatically due to social networks, and mobile adoption has accelerated this. Users don’t read, they scan, generally in a news “feed” or “stream.” Unlike text, images are easier to scan and more fun to collect and share. 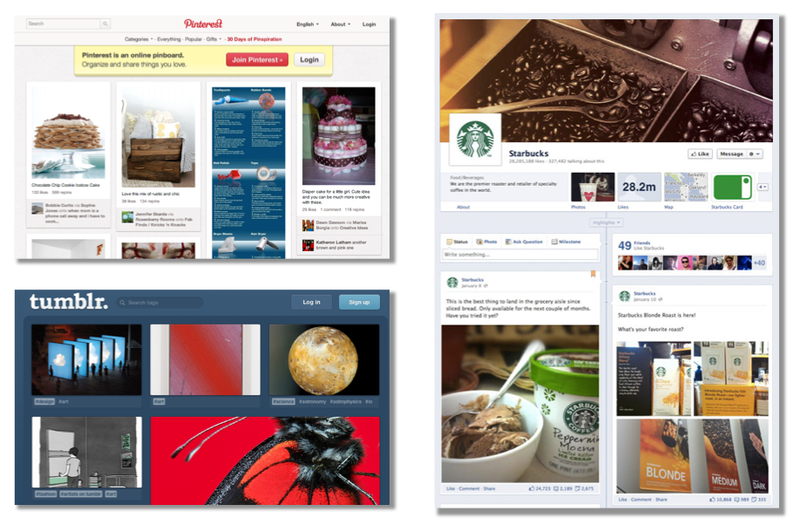 Facebook moved to the image-heavy Timeline, and you see this in sites like Pinterest, Tumblr, Twitter, and Instagram. 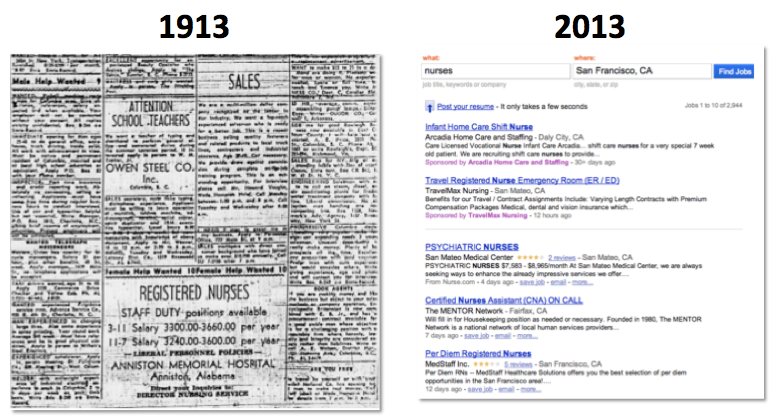 The way we consume info has changed, so job descriptions must change as well. Work4 is the first company to recognize and make that change with the latest addition to our social recruiting solution, Job Cards. So, what are Job Cards? Job Cards are job descriptions for the social age. They’re graphic representations of a job meant to look great in a newsfeed to attract attention, and make the job’s key info easily digestible so candidates can quickly decide whether to read more. Job Cards are automatically generated using information available in the job description: job title, location, category, keywords, company name, and logo are used to create a collection of images that are then stitched together. No two Job Cards look the same. And in the coming weeks, we’ll be adding new elements and images to customize Job Cards for your particular jobs and employer brand–so stay tuned! Where are Job Cards used? 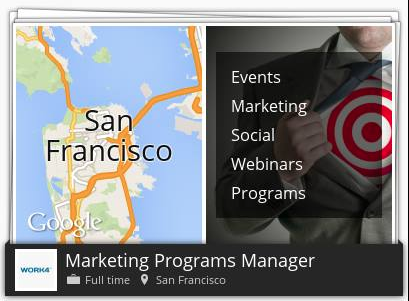 Job cards are available for jobs posted to Facebook Profiles and Pages from our newest product, Social Job Sharing. 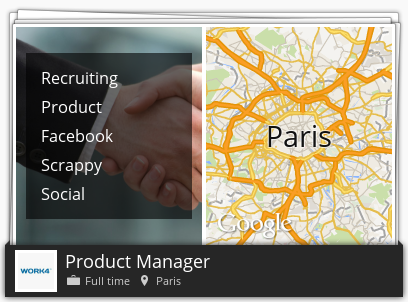 Job Cards will be available in the near future for LinkedIn and Twitter. Twitter is especially exciting, because you can embed the Job Cards directly within the tweet thanks to our integration with the Twitter Cards program. Expect to see other networks abuzz with Job Cards soon. You can read more about the launch of Job Cards in our press release. How will YOU use Job Cards in your recruiting strategy? Can you think of some creative ways to include visual job descriptions in your social media? Leave your thoughts in the comments!